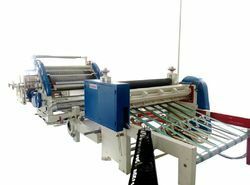 We are a leading Manufacturer of high speed rotary corrugated sheet cutting machine, high speed rotary reel to sheet cutting machine, automatic cutting machine, semi automatic paper cutting machine, hydraulic paper cutting machine and four bar rotary cutting creasing machine from Faridabad, India. 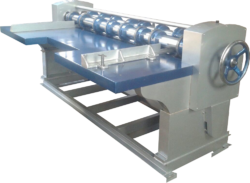 Classic, Heavy Duty Standard Model Roll to Sheet Cutting Machine with accessories. All size available. 32", 42", 52", 62". 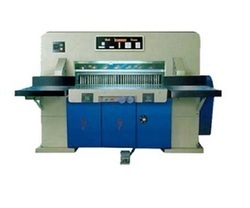 We are Leading Manufactures of Automatic Cutting Machines. Available Machine Size - 33", 36" ,42". Available Sizes: 65”, 75”, 85”, 95”, 105”, 110”, 115". 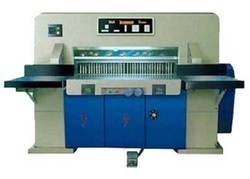 CLASSIC, Four Bar Rotary cutting & creasing machine heavy duty standard model with all usual accessories.